Jovana has a wealth of experience and led a colorful personal and professional life: she organized a workers’ union; won chess competitions; cleaned houses; traveled and visited over 50 countries; installed elevators; founded the first feminist organization at her university, as well as an international Serbian organization RAS in Washington, DC; served as the Vice President of the Washington, DC branch of the Serbian Unity Congress; worked as a PR for the eminent American non-governmental organization, Environmental Working Group, and as part of that position as a spokesperson for the Campaign for Safe Cosmetics in the USA. In Serbia, she worked as PR in marketing agency Leo Burnett, and for Komercijalna banka, the largest Serbian bank. In addition to her role as founder and director at Center for Moms, Jovana is also a successful independent Public Relations consultant and, within her own program, public speaking instructor. Jovana lived in USA for 11 years and in India for 6 months. She returned to Serbia in January 2010 because she wants to live in Serbia. A short time before her return, Jovana founded a network of highly-educated Serbs who lived abroad and repatriated to Serbia—Repats Serbia, that now gathers over 1000 people. 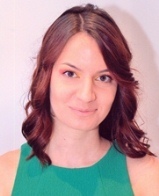 Jovana has a Master’s in Public Relations from Michigan State University, where she also completed graduate certificate program in International Development. At Florida Atlantic University, Jovana earned her Bachelors in psychology and journalism. She also took graduate level classes in International Relations at Georgetown University. Jovana believes that anything is possible and that it takes many years to make an overnight success. She adores Serbia! Tatjana graduated from the Faculty of Applied Arts and Design, Department for Photography and Graphic Design. In the past, she was art directress, graphic designer, photo editor, journalist, columnist and blogger. 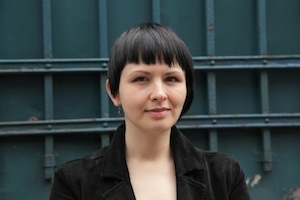 Tatjana has conducted several workshops for children. From the age of 11 until she attended university, Sandra worked at her parents’ small store. No employer can invest in you and teach you to value yourself and your place in the world like an employer who also happens to be your parent. Such an upbringing is invaluable. Sandra completed trade school and afterwards graduated from Belgrade’s Faculty of Philology (Serbian literature and language). During her studies, Sandra worked as a reporter for Radio Studio B and TV Studio B for six years. With her husband, Sandra spent two years in Montreal, Canada, where she studied French language and worked as a fitness trainer, administrative assistant, and a sales person. 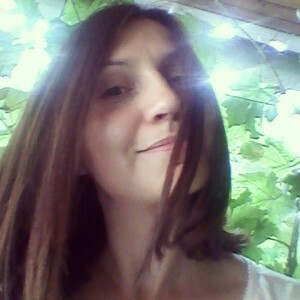 After her return to Belgrade, Sandra translates and writes, edits, proofreads and teaches Serbian language and English language. Since she was a child, Sandra was especially sensitive to gender inequality and wrongdoings against women. Today, she is confident that women, when united, are able to change the world for the better. Sandra is the editor of Center for Moms ’s website. As a proud mother of two little girls herself, she never wants to stop learning and strongly believes in people and their power. He graduated University of Belgrade’s Faculty of Law. 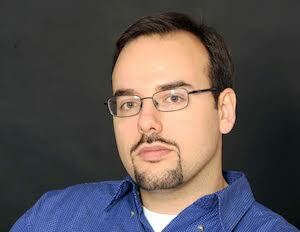 He has a Masters and PhD from Union Universty’s Faculty of Law in Belgrade. From 2004 to 2012, Mario held a position at the Institute of Comparative Law in Belgrade. Today, Mario teaches labor law at Union University’s Faculty of Law and works faculty’s legal clinic. Mario is the author of dozens of expert and scientific papers on law and legal matters. He believes that the strength of ideas, kindness, tolerance, openness and communication can change even the toughest prejudices and stereotypes. Mario is also convinced that every person must be able to exercise their rights and access adequate legal counsel and support. A society needs to protect its most vulnerable members. He is assured that this is the only way a community can heal, grow stronger, and be healthy and stable. Mario sees Center for Moms as a source of and catalyst for positive energy and ideas—a gathering place for individuals whose selfless commitment has great potential to improve the community. 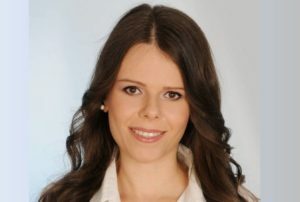 Bojana is a specialist for legal aspects of corporate management. Bojana graduated from Universtiy of Belgrade’s Faculty of Law where she also completed her post-graduate studies. 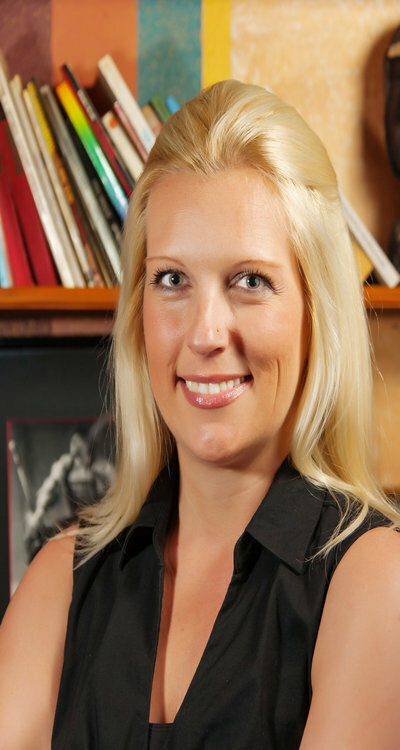 Her educational background includes courses in law and economics from several international schools. She authored several expert papers and scientific articles about law and corporate management. She is fluent in English and speaks German and Russian. 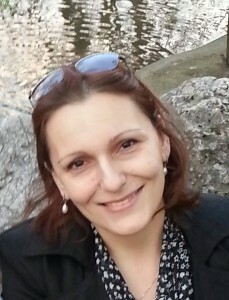 Bojana is the labor law expert associate for the website Yumama and Center for Moms. She joined Center for Moms from its conception because of her desire to help and also motivate others to be more humane and responsible, as well as to encourage mutual understanding. Bojana believes in the rule of law, common good, and sustainable development. She considers regional and international dialogue critical to future stability and prosperity. Bojana stands for gender equality and human rights. She practices pilates and piano and believes in sincere friendship and real love. Mirjana is a Belgrader and a law school graduate. From 1996 to 2001, Mirjana successfully practiced as a lawyer. She wrote several short articles on commercial law. 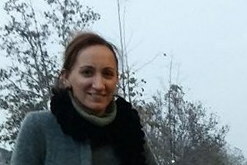 From 2001 to 2012, while living in the USA, Mirjana was a consultant at the non-profit organization providing assistance to immigrants and refugees, MIRECS, in Silver Spring, Maryland. As president of the International Monetary Fund’s Family Association in Washington, DC, Mirjana organized and coordinated individuals and groups from around the world. Mirjana also worked as a translator and teacher of Serbian, Bosnian and Croatian languages, and a court interpreter. Mirjana believes that sincerity and mutual respect are the foundations for establishing healthy relationships among people and trusts that fair treatment is essential when building functional families, communities, and society. Mirjana is confident that equality is attainable and that legislation can help realize that vision. Born in 1980 in Zrenjanin, graduated from the Law School in Novi Sad. Work experience necessary for passing the bar exam Nela acquired at the Basic Court in Zrenjanin. She was working in Mediation at the peaceful resolution of disputes. Nela passed the bar exam and now she is employed full-time at public company „Office for Construction and Organization of the City“ in Zrenjanin. She lives both in Zrenjanin and Belgrade. In addition to the rights, Nela took an interest in psychology. She is also learning how to sew and knit. She loves to travel. Nela is married and is the mother of one beautiful boy. Graduated English language and literature at the Faculty of Philology at the University of Belgrade in Kragujevac, after which she worked as an English teacher for a couple of years at state and private schools. However, she found her true self in journalism and Studio B, where, with some help from her colleagues, she realized that helping people was her true calling. Working as an assistant journalist for the documentary series „In the name of the people“ she realized that the fight for justice and helping those who are not able or don’t have the strength to fight for themselves is what makes her a human being. She spent a year studying journalism at the University of Tennessee in Knoxville in the US, where she met some amazing people who helped her realize just how much people can do for each other when they want to. After coming back to Serbia, she worked as a journalist for Novi magazin weekly and website, and as a freelance translator and interpreter. The only thing more important to Vanesa than human rights and the fight for the equality of all people is her daughter. Jelena started working when she was 11, during summer vacations; when she was 20, her life became a constant battle for a better tomorrow. She managed to self-finance her schooling, to use only her knowledge in order to get an employment in a state enterprise, to raise a housing loan, and to do the most important thing in the world – to create a family. 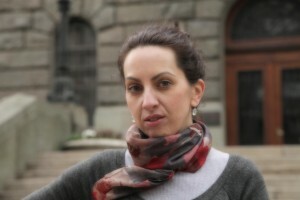 Jelena had an opportunity to live abroad, but she says that she loves Serbia too much to leave. She is still learning and trying to start her own business with the focus on children. 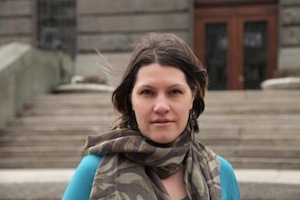 Jelena is happily married and works as program coordinator in Cultural and Educational Center of Šid. Her Center for Children is a place where she creates and runs workshops for children. 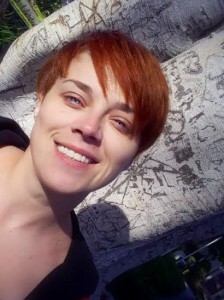 Jelena enjoys writing her blog, gardening, and bicycle rides. This is her life philosophy. Branka is a psychologist. 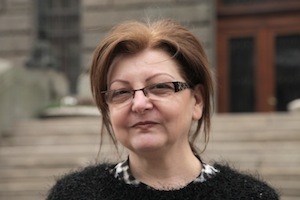 She holds a degree from the Faculty of Philosophy Novi Sad. Her specialty is Transactional analysis and she also acquired the certificate -TA-101. Within Psihopolis Institute, Branka became a certified trainer of assertive communication. She gained experience working with children, young people, parents and foster parents while working as a psychologist in a team for children and youth protection at the Social Work Centre. Branka also worked in an industrial environment doing administrative tasks. She is interested in the field of internet marketing. Branka is the author of “How to Build Self Confidence” guide and Saveti psihologa onlajn website. As a Center for Moms’ collaborator, Branka writes articles from her unique perspective as a mom and a psychologist. The family has a prominent place in her life. Branka is the mother of two and happily married. Tamara is a life coach by the method of Deep Coaching. Her parents were opera singers and she acquired a diploma in Geological Engineering. Her personal development was inspired by her love and knowledge about nature and by her love for art she inherited from her parents. Tamara reads interesting books, meets inspiring people, writes and publishes stories and poems both for children and adults. Through writing, she learns a lot about human soul, its infinity, and its amazing possibilities. In the meantime, Tamara became a mom of three and made a decision to enrich her professional experience by attending “Personal Development School of Olivera Ptica”. Tamara believes only a happy mom is able to become a joyful and wise parent. She is happiest when she can help moms with her articles and coach sessions.